Quick overview Born into the oppressive, colonialist society of 1930s Jamaica, white Creole heiress Antoinette Cosway meets a young Englishman who is drawn to her innocent beauty and sensuality. After their marriage, however, disturbing rumours begin to circulate which poison her husband against her. Her grand attempt to tell what she felt was the story of "Jane Eyre's" 'madwoman in the attic', Bertha Rochester, Jean Rhys' "Wide Sargasso Sea" is edited with an introduction and notes by Angela Smith in "Penguin Classics". Born into the oppressive, colonialist society of 1930s Jamaica, white Creole heiress Antoinette Cosway meets a young Englishman who is drawn to her innocent beauty and sensuality. After their marriage, however, disturbing rumours begin to circulate which poison her husband against her. Caught between his demands and her own precarious sense of belonging, Antoinette is inexorably driven towards madness, and her husband into the arms of another novel's heroine. This classic study of betrayal, a seminal work of postcolonial literature, is Jean Rhys' brief, beautiful masterpiece. 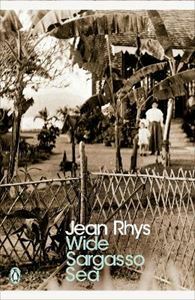 Jean Rhys (1894-1979) was born in Dominica. Coming to England aged 16, she drifted into various jobs before moving to Paris, where she began writing and was 'discovered' by Ford Madox Ford. Her novels, often portraying women as underdogs out to exploit their sexualities, were ahead of their time and only modestly successful. From 1939 (when "Good Morning, Midnight" was written) onwards she lived reclusively, and was largely forgotten when she made a sensational comeback with her account of Jane Eyre's Bertha Rochester, "Wide Sargasso Sea", in 1966. If you enjoyed "Wide Sargasso Sea", you might like Charlotte Bronte's "Jane Eyre", also available in "Penguin Classics". "She took one of the works of genius of the nineteenth century and turned it inside-out to create one of the works of genius of the twentieth century". (Michele Roberts, "The Times").